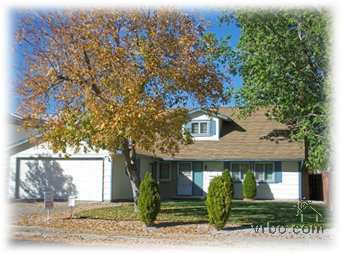 vacation rental homes of reno - Huffaker Ln. 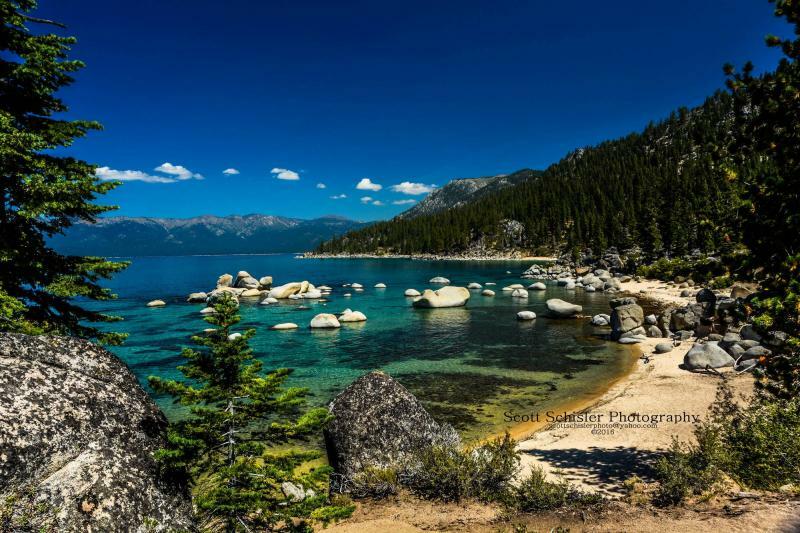 LAKE TAHOE HAS MANY SECLUDED BEACHES A SHORT HIKE FROM THE HIGHWAY. 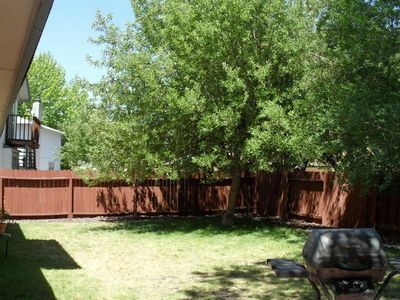 Large private shaded back yard with garden deck and gas barbecue for your enjoyment! 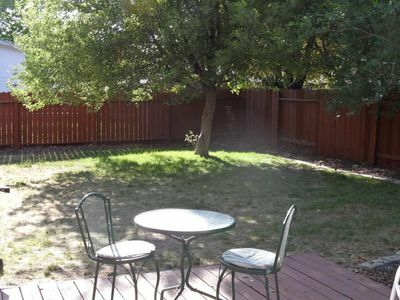 BELOW IS A PRIVATE FENCED BACK YARD WITH GARDEN DECK AND GAS BARBECUE FOR YOUR ENJOYMENT! 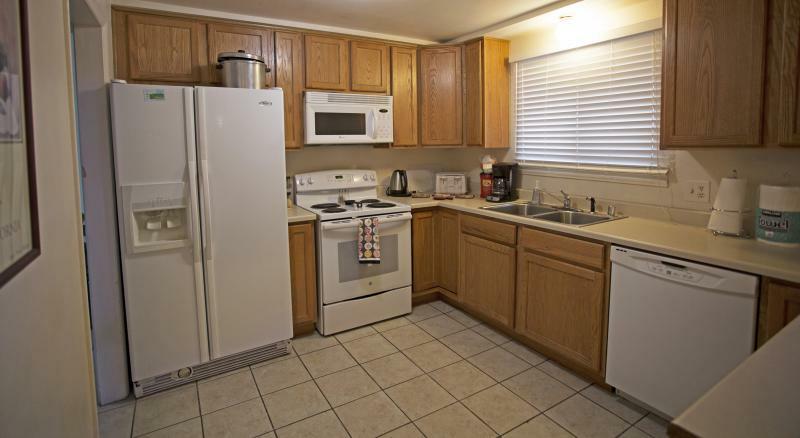 Large fully stocked kitchen with doubledoor refrigerator, built in microwave and dishwasher. Fourth bedroom equipped with kids in mind. THE MASTER SUITE UPSTAIRS HAS A KING SIZED BED, ATTACHED BATH WITH JETTED TUB, WALK IN CLOSET, SMALL OFFICE, AND ROOM FOR TWO QUEEN SIZED AIR BEDS WHEN LARGE GROUPS ATTEND. This beautiful, two level home is located near Reno's main shopping district, convention center, and Atlantis and Peppermill casinos, with a second rental property located nearby. 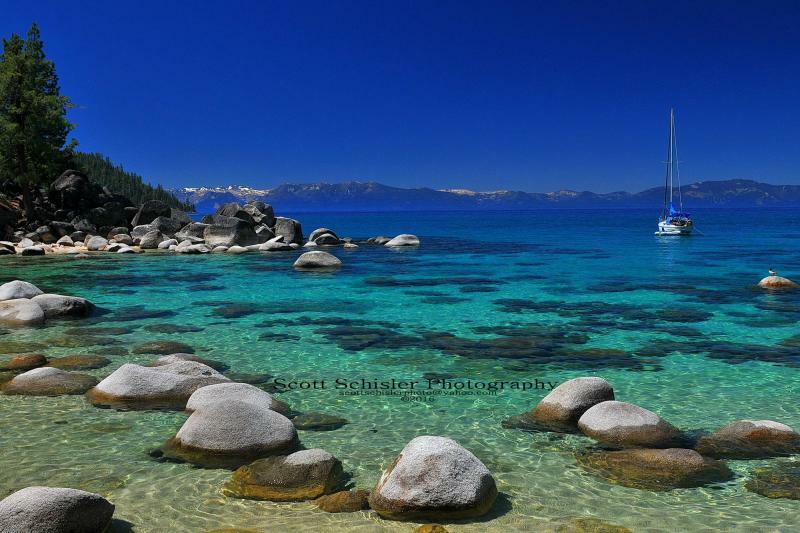 The home is completely remodeled and designed to offer refined enjoyment. 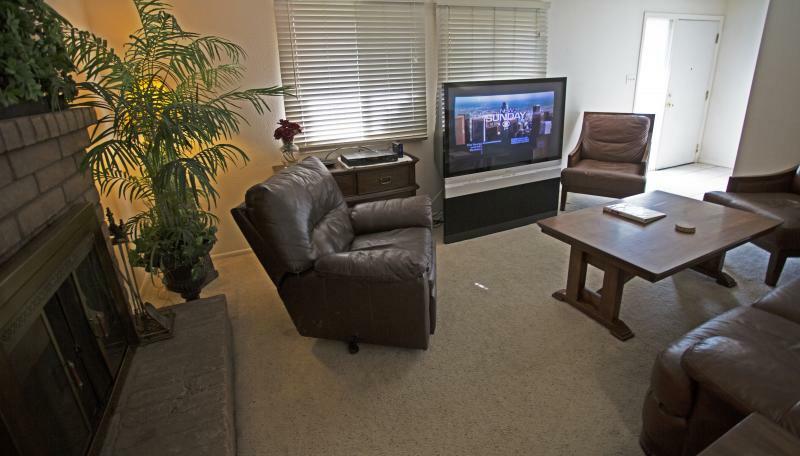 The home is fully furnished, has a large living room with fireplace, widescreen TV, and internet hookup. The kitchen is a large modern kitchen with all new appliances including double-door refrigerator, dishwasher, and microwave oven and separate dining room. The kitchen is fully furnished with large pans, plates and silverware to service groups as large as 16, coffeemaker, toaster and spice rack. The laundry room is also fully furnished with all detergents and cleaning supplies. 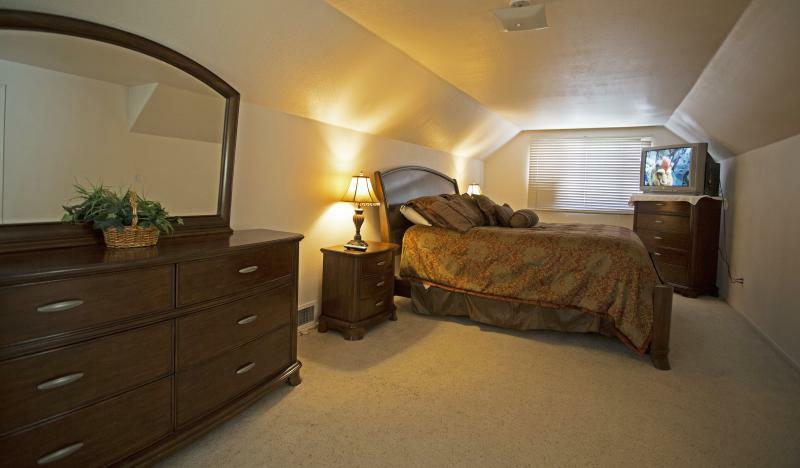 Upstairs is a master suite including a king-sized pillowtop bed, adjoining bathroom with jetted tub, office and a walk-in closet. 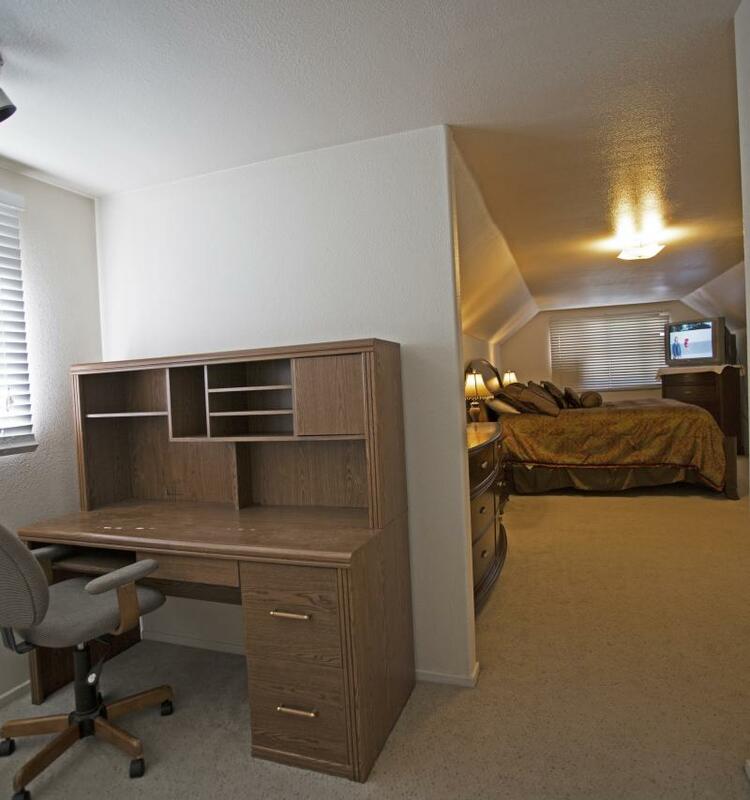 All bedrooms are equipped with large TV's and with an array of premium channels. 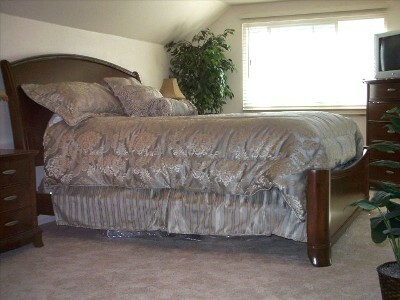 The master suite can accomodate up to three high end air beds for larger athletic groups. 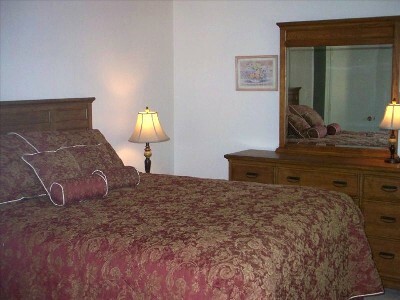 Downstairs are three additional bedrooms equipped with fine furniture and luxury mattresses for your comfort. 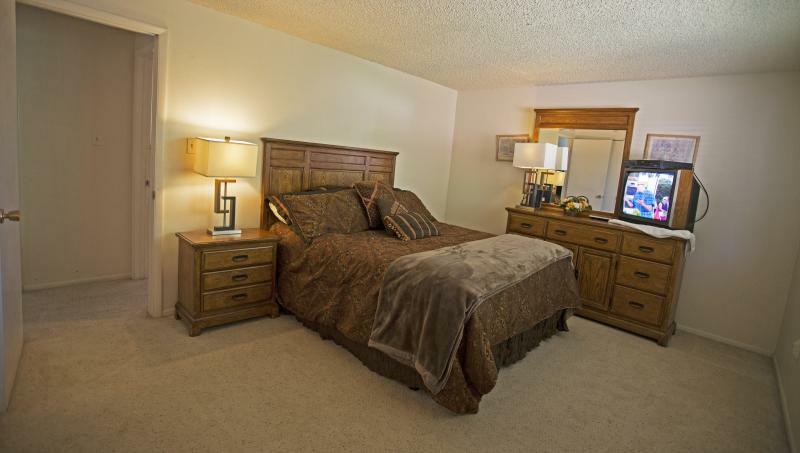 This includes a second master bedroom with olympic queen-sized pillowtop bed and an adjoining bathroom. 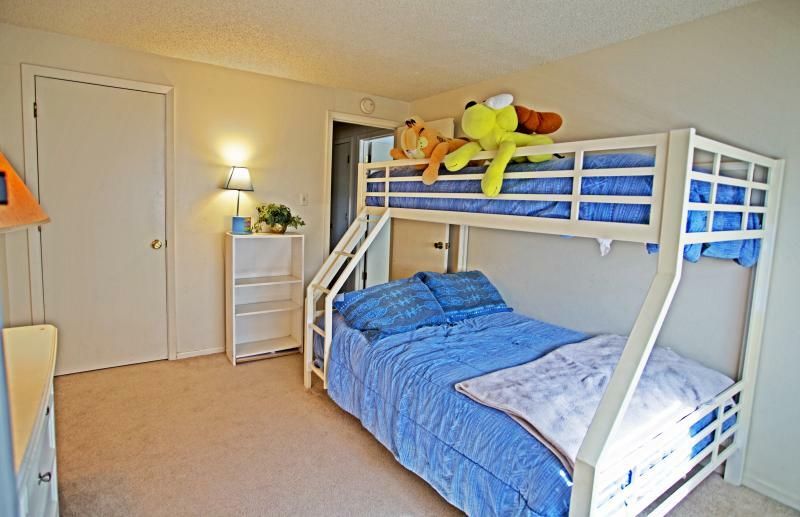 The third bedroom has an olympic queen-sized bed with a bathroom nearby and the fourth bedroom is designed with kids in mind. It has a twin/full bunkbed with luxury bedding and TV and DVD/VCR for their enjoyment. It also has a small video library with board games for adults and children of all ages. A full-sized rollaway and two queen sized blowup beds are available upon request. 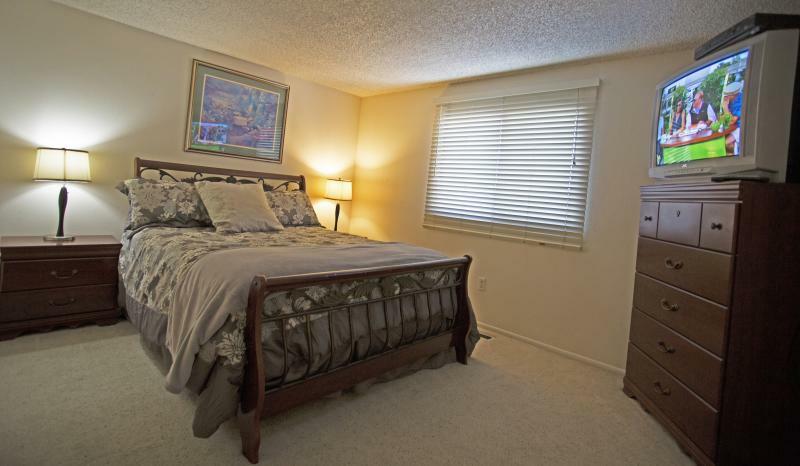 ABOVE IS THE SECOND MASTER LOCATED DOWNSTAIRS WITH OLYMPIC QUEEN BED AND ATTACHED BATH. This home has central air and heat, all linens and cleaning supplies are provided, and a full sized roll away bed and self inflating queen air beds are available for larger groups upon request. 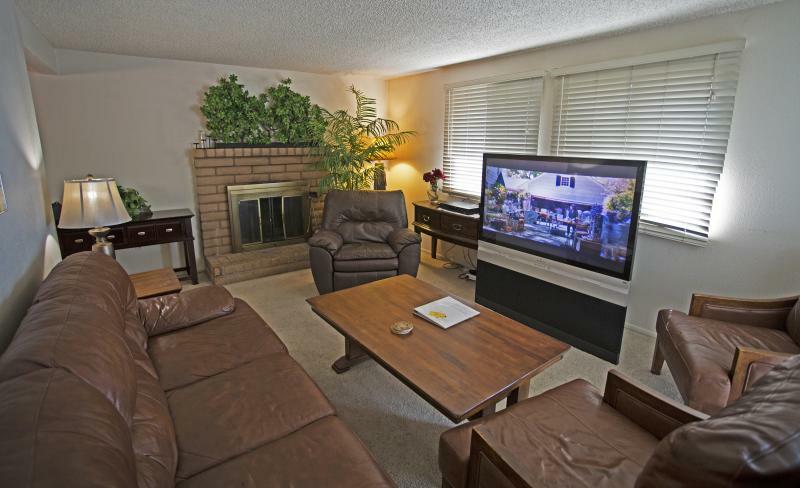 All TV's have an array of premium channels and this home has wi-Fi as well.The home has a two car garage with parking for two additional vehicles in the driveway, and has a private shaded back yard with a garden deck equipped with gas barbecue grill and lawn furniture for your enjoyment! Rates: $250/night (3 night minimum). $100-$150 cleaning fee. Rates May Vary During holidays and special events. Full-sized rollaway and Queen-sized blowup beds available upon request.